You can run both Kodi and RetroPie on the same Raspberry Pi without having to switch between partitions! This allows you to switch seamlessly between your favorite retro games and your favorite movies, TV shows and music. This is possible because RetroPie includes an optional component that can be used to run Kodi in RetroPie. After installing, you'll be able to launch Kodi from the same menu system as you use to access your retro gaming consoles. One machine to rule them all. This guide will show you how it's done! Optional: Turn Kodi into a RetroPie "system"
Of course, you first need to install RetroPie on your Raspberry Pi. If you haven't done this already, I wrote a separate RetroPie install guide. 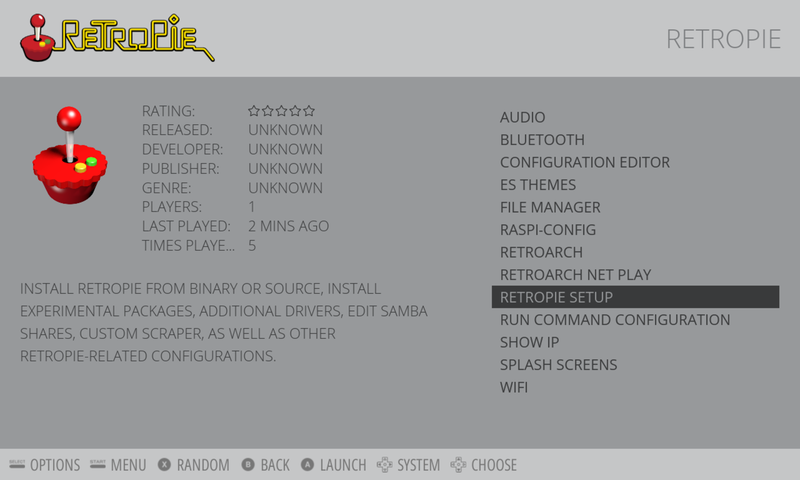 If you already have RetroPie installed, I recommend updating it to ensure compatibility with the latest Kodi release. Always back up your Pi before updating. Unless you hate it. Which Raspberry Pi versions can run Kodi on RetroPie? All versions of the Raspberry Pi can run Kodi on RetroPie. You will need an internet/network connection to run Kodi, so I recommend using a Pi 3 or Zero W (which both have built-in WiFi). If you're using another kind of Pi, you can always add WiFi to your Pi using a USB adapter. How big should my SD card be? To have both RetroPie and Kodi in the same installation, I recommend a card that's at least 32GB. You can probably get away with a 16GB card, but you'll be limited on how much media content you can store on the device to use with Kodi. Can I run Kodi on the Pi without RetroPie (standalone)? Yes. 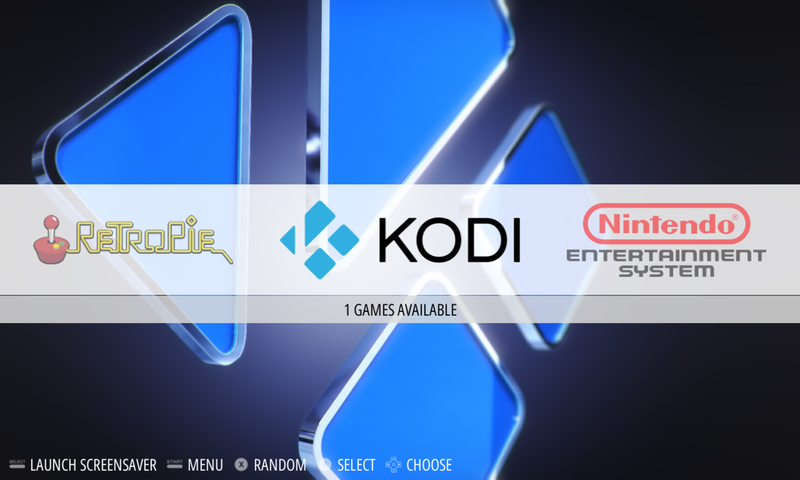 If you'd rather install Kodi on a Pi that won't have RetroPie, howchooer Jeremy wrote a separate standalone Raspberry Pi Kodi installation guide for you! On the main RetroPie/EmulationStation screen (where it lists your game consoles), select the RetroPie system. Then, select RETROPIE SETUP. You can use your game controller (or a keyboard) for the entire setup process. Your RetroPie may look different than mine! I'm using the tronkyfran theme. Select the Manage packages option and then select Manage optional packages. This is the area where you can find lots of cool optional RetroPie packages, including emulators for strange and obscure gaming systems, as well as other experimental packages. Scroll down and select the Kodi option. Finally, select Install from binary. It may take several minutes to download and install everything, especially if you're using a Pi Zero. When you're done, use your back button (B on your controller) to exit to the main RetroPie UI (EmulationStation). What's neat about Kodi for RetroPie is that you can access it from the same area that you'd access your retro games from. 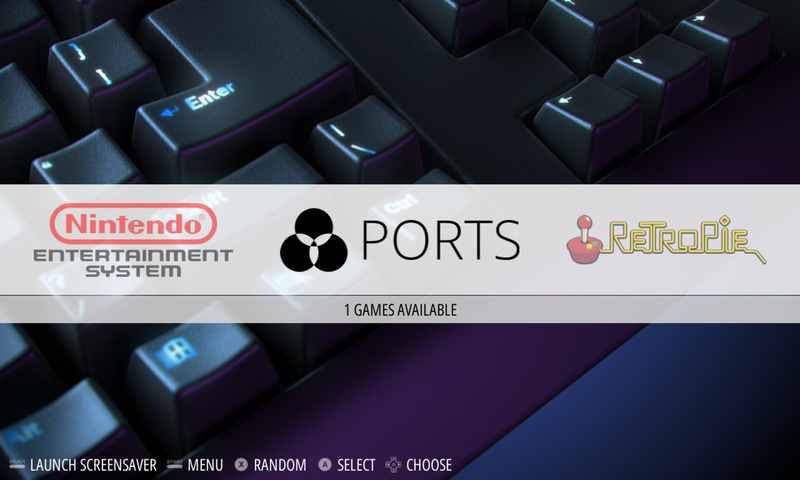 It essentially appears as a "Kodi" game in the "Ports" gaming system. From the main screen containing all your systems, select Ports and then KODI. Ah, we now have Kodi in RetroPie. You might be prompted to configure your controller. If your controller becomes unresponsive, you might need to use a keyboard to get to the Controller Configuration screen. I recommend adjusting the player resolution in the Kodi settings menu (see: gear icon). To exit Kodi and return to EmulationStation for some more mad retro gaming, select the Power icon and then Exit. Finally, reboot your Pi. Kodi will now appear as its own system!